The school year is in full swing and the women’s basketball season began October 15th. As we work hard this season, we are asking for your generous support. 100 percent of the money raised goes directly to the women’s basketball program and helps to provide our student-athletes a first-class experience. It is only through the generous contributions of people like you that we can make these positive experiences a reality. Each year the women’s basketball program is responsible for raising funds to supplement our budget. This goes a long way in aiding the athletes with uniforms, balls, equipment, lodging and food on road trips, and team apparel. Next season, the women's basketball program would like to compete in a destination tournament. Additionally, we raise money through special events; concession stand operations, and hosting youth tournaments. These activities are conducted by our staff, coaches and student-athletes. Your gift will contribute in different ways to the Pioneer Women’s Basketball student-athletes’ experience. Please consider a gift of any size. Donations both large and small are beneficial. If you have any questions, please contact me. I am very excited about the future of Carroll Women’s Basketball Program, and I look forward to continuing to build a program that you will take great pride in supporting. 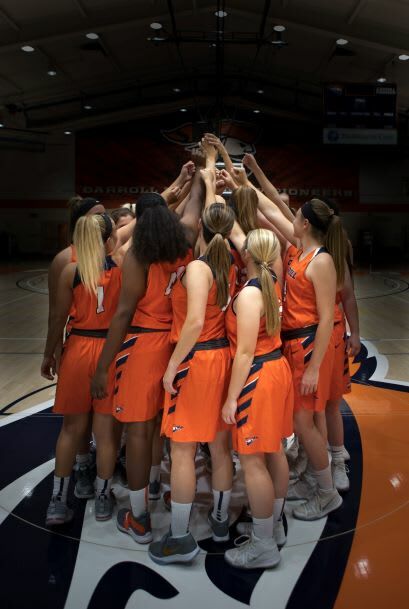 I know I speak for the entire Carroll University Women’s Basketball Family when I tell you how much your support is appreciated!